One year closes and another begins. Here are the 2012 Alzheimer’s disease research highlights, as well as new directions that we will likely be heading during 2013. Genetic Insights: Among the important discoveries of 2012 was the identification of a genetic mutation that protects people from developing Alzheimer’s disease. The mutation in Amyloid Precursor Protein (APP) significantly decreases the amount of beta-amyloid a person makes (about 40 percent), conferring a resistance to developing Alzheimer’s. Just to review, all neurons secrete APP, and APP is cleaved by two scissor-like proteins, gamma secretase and beta secretase. This leads to the production of beta-amyloid, a toxic protein fragment that accumulates in the brain over time, causing brain cell damage eventually leading to dementia.During 2012, we also saw the identification of numerous Alzheimer’s disease susceptibility genes. The Alzheimer’s Disease Genetics Consortium reported genetic analysis of more than 11,000 people with Alzheimer’s disease and a nearly equal number of elderly people who have no symptoms of dementia. Three other consortia contributed confirming data from additional people, bringing the total number of people analyzed to over 54,000. Until recently, only four genes associated with late-onset Alzheimer’s had been confirmed, with the gene for apolipoprotein E-e4, also called APOE4, having the largest effect on risk. These findings added another five — cMS4A, CD2AP, CD33, ABCA7 and EPHA1 — thereby doubling the number of genes known to contribute Alzheimer’s disease. Later in the year, an additional susceptibility gene was identified, TREM2, also using genome-wide sequencing. The manner in which these genes contribute to Alzheimer’s disease are being carefully scrutinized, as each may represent a potential target for treatment. New Steps to Understanding Prevention: In 2012, we saw the launch of an unprecedented clinical trial, being run by an international collaboration of researchers in academia and industry, to prevent dementia due to Alzheimer’s disease by treating patients with a drug before any cognitive symptoms appear. The trial, called the Alzheimer’s Prevention Initiative (API), is being led by Eric Reiman, M.D., at the Banner Alzheimer’s Institute in Phoenix, Arizona, and Francisco Lopera, M.D., and his colleagues at the University of Antioquia in Colombia. During the past two years, these scientists and their colleagues have enrolled members of the world’s largest kindred afflicted with a mutation that leads to early onset Alzheimer’s. Forward Movement in Vaccine Study: The results of the Phase I study of Novartis’ CAD106 vaccine against beta-amyloid is another notable moment in Alzheimer’s research from 2012. This is the second vaccine study for Alzheimer’s disease. The first human vaccination trial in Alzheimer’s (Elan’s AN-1792) was done almost a decade ago and was discontinued due to adverse reaction. In contrast, CAD106 was well tolerated and will hopefully be used in a larger, Phase 2 study. Other learnings: During last summer, there was a flurry of results from multiple Phase 3 trials for Alzheimer’s. The results of two Phase 3 trials of intravenous bapineuzumab, a monoclonal antibody against beta-amyloid, showed that it failed to meet its primary endpoints in patients with mild to moderate Alzheimer’s disease. However, data from Eli Lilly’s solanezumab study, as well as the independent ADCS analysis of the trial, showed that the drug slowed down the rate of cognitive decline in patients with mild Alzheimer’s disease by about 34 percent. Moreover, in looking at subjects who had positive amyloid PET scans, there was a statistically significant change in total beta-amyloid in cerebral spinal fluid (CSF), a biomarker of Alzheimer’s disease. Both of these findings are quite exciting. A Phase 3 study of solanezumab in mild Alzheimer’s disease is being planned.We also saw the end of the gamma-secretase inhibitor, avagacestat, which followed in the footsteps of another drug in the same class, semagacestat. Both were shown to have trends toward worsening cognition as an adverse effect. Meanwhile beta-secretase inhibitors, as well as gamma-secretase ‘modulators’ move forward in the drug pipeline and are thought to hold great promise. 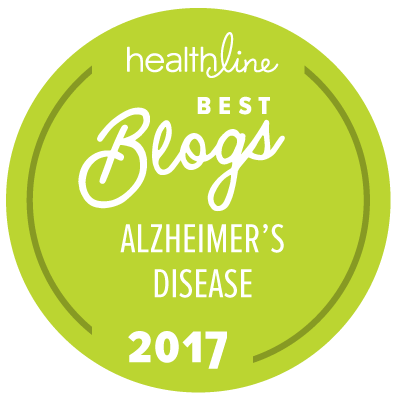 In addition, the FDA approval of Amyvid as an amyloid imaging tracer for PET scans represents a major milestone in the clinical evaluation of Alzheimer’s. Other tracers are being developed and may be approved this upcoming year. The Horizon: What Does 2013 Hold in Store? We eagerly await the results from the Phase 3 clinical trial of Intravenous immunoglobulin (IGIV) in mild to moderate Alzheimer’s. In addition, the launch of the Down Syndrome Biomarker Initiative (DSBI) will undoubtedly help us better understand how Alzheimer’s develops in Down Syndrome and perhaps identify novel biomarkers of Alzheimer’s. Additional data from the Alzheimer’s Disease Neuroimaging Initiative (ADNI) and the Dominantly Inherited Alzheimer Network (DIAN) studies are expected, focusing on identifying the earliest changes seen in the Alzheimer’s brain. Additional clinical trials in Alzheimer’s and presymptomatic Alzheimer’s are ongoing, with several new compounds being prepared for launch in mid-2013. One of these includes the intranasal insulin study, which has had positive early results and is being conducted by the ADCS.We look forward to keeping you updated on what is happening in the world of Alzheimer’s research in the upcoming year and are optimistic that there will be great developments in the field in 2013. Stay tuned. Enter text right here!I know how you feel. I lost my father in 2012. It is a horrible disease. Thanks for putting this out there foe people to see the progress that is being made. I just wish that we had a cure before my Dad and others suffered, but on the other hand I' m glad that their is hope for others in the future. yes, I also lost my Mom to the disease last year.. I took care of her the past ten years and she lived with me the past five.. and could not walk the past year or two.. I look back now and I guess didn't realize how my life stopped in order for hers to keep going. I am not so worried that I may get it, even though I may, but I am very happy to see they are learning about the genetics and how to keep us from getting it or delaying the onset of the disease. PI,, how old we're you when you started caring for your mother? My sister, who is 60, is caring for our mom, and I just want my sister to get her life back. My mom's life, in my opinion, is already gone. I live in another town and have to work full time and feel I could not do what my sister does every day. My sister did want mom to come live with her, but I don't think any if us could have imagined how this would progress and how long it would last. Your mom's life might have changed but she is NOT gone by any means! I have been my mom's care taker for the past seven years or so, and yes, my life has been put on hold, but I wouldn't have it any other way!Some days my mom knows me, and others she don't. Your sister might feel that god had wanted her to care for your mom, verses a home where the care would be different. I hope and pray that your sister doesn't feel burnt out and stressed as I am due to no famly members pitching in. There are many ways that family can help even though they are far away. Maybe your sis could use a trip to the store,or just some time to herself but can't leave mom, this is where finacial help would come in handy to help get a caretaker.I'm sure your sister would appreciate and be thankful for any help she could get. I wish you both the best,and pray that your mom is not in pain, or fear while she continues on her journey with ALzheimers! Good news about new research and funding with the Downs Syndrome population but we need more research on brain injury victims and dementis. i work with both populations and we are seeing declines in both. It's amazing and so encouraging that such a progress is made in the field of prevention of the disease. Ever since the genetic testings become widely accessible and so affordable I was wondering should I do it or not. Do I want to know or not. My beloved granny was diagnosed with AD couple of years ago, her father too, my grand-grand-pa, spent his last years in some detached reallity with no memories and no connections, I could only guess how many relatives before that had it too. If I have the privilege to reach the age I might be in big risk too. But do I really need to know? Alzheimer's is not a like high cholesterol, even if I knew I can't really fix the problem, can I! So I was struggling with the dilemma for the last year. Then I found this article, called ironically "To know or not to know", well I guess that is the question! The authors review different studies and analize people's psychological reaction and behaviour after genetic test for AD predisposition. What they say is that regardless of the results from the test people generaly do feel reassured once they know. Apparently for many people the greatest fear is simply not knowing. I'm still not sure if I will get tested, but I certenly will follow the API trial as well as any other prevention initiatives and I'll cross fingers for good results.